Bookworm Boutique: Interview with The YA Chronicles! Interview with The YA Chronicles! This post is going to be a little something different and I am so so so excited about it! The wonderful ladies behind The YA Chronicles (a monthly subscription box) did something absolutely amazing for me recently and I was so stunned that I just had to spread the word about how fantastic they are not only to say thank you, but also because they are genuinely amazing and you all need to know. 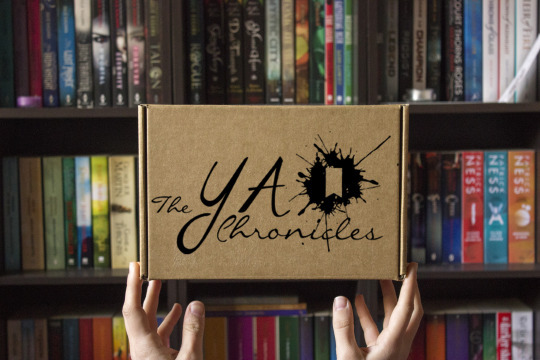 If you didn't already know, The YA Chronicles is a monthly YA subscription box. Each box contains one young adult book, one TYAC bookmark, 2-5 bookish goodies, and usually some book swag! I've both bought and received their boxes for review and they're just fantastic! The YA Chronicles is run by Alison and Rebecca from Sydney, Australia, and I decided it was time we get to know these girls a little bit better! In this interview I've asked them business related questions and also some personal ones, and let me tell you, these girls are FUNNY. Also, they were kind enough to give me a coupon code to share with you guys *queue gasping* so you can enjoy their fabulous boxes as well. I've popped the discount code at the end of this interview! On to some business related questions! 1) What made you decide to start up The YA Chronicles and how did you come up with your business name? Alison: We wanted to see a more cost efficient YA sub service for Australians. It’s so expensive to get things shipped here we figured why not start one for ourselves? Rebecca: Oh there were so many (bad) name options before we came up with The YA Chronicles. I wish we had them written down somewhere so we could share with you, but they’re currently hiding in a painfully long Facebook convo, lol. But essentially we were jealous of all the cool things the USA and Canada could get. We talked about starting our own box and we were both really keen, so we did! 2) What comes first, the theme or the book? Alison: Definitely the book. Sometimes the best themes come directly from the core of a book. Rebecca: The book! In the very beginning we came up with a whole list of themes and then delegated them to months. That was not smart, as we quickly figured out. Now we pick a book, think about it’s themes and our favourite parts, and then decide on a monthly theme from there. 3) What have been some of the most challenging aspects of running this business? Alison: Probably realising how much of it is out of our control. A lot of what we do relies on other people doing their jobs right. We can talk to people and be organised, but at the end of the day, if something goes wrong, there’s not much we can do about it. Rebecca: Dude yes, that’s so incredibly frustrating. We’ve had to ship a couple months boxes late because of exactly this. That said, sometimes deciding on a book is the hardest part. Sometimes we have so many (good and not-so-good) options it’s hard to choose one. Alison: That too, absolutely. Sometimes it’s hard to choose between something that’s just really enjoyable, and something that’s important and diverse. Rebecca: *whispers* especially when the diverse book is not that well written. 4) What have been some of the most rewarding aspects? Alison: Seeing how happy it makes people in unboxing photos and videos is the highlight of my month, every month. I’m always so grateful to people for trusting us to surprise them each month. Rebecca: Agreed. I love watching unboxing videos and getting to see people’s honest reactions to our boxes. Personally I like knowing what works as well as what doesn’t. And every time we see someone recommending our box to a friend I’m just like !!! 5) How do you go about choosing your book and the goodies for each month? Then we promptly spend days looking through stores and considering our options, what might people like? What small Aussie businesses can we support this month? Sometimes we’ll find something we think is perfect, only to scrap it a few days later because we found something even more perfect. 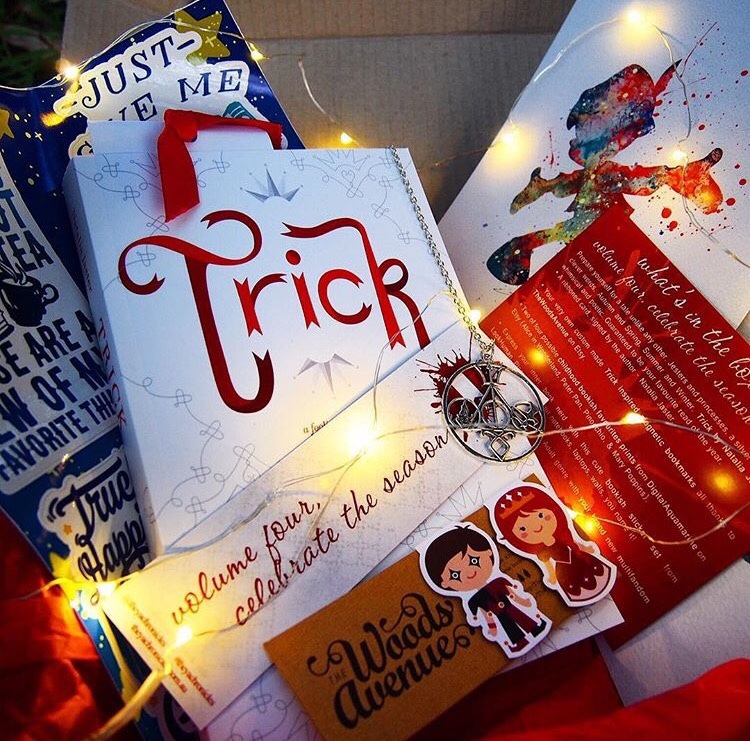 Rebecca: We do try to put a lot of effort into making sure both the book and the goodies will be enjoyable for as many of our subscribers as possible. We’re aware that everyone has different likes and dislikes, and so we try to mix it up a little so no one is left disappointed. It’s like I said before, as great as it is knowing people love our boxes, I think it’s really important to know what doesn’t work as well. Like for one box where we included lip balm, one of our subscribers said that they were allergic to avocados (which was an ingredient) and so they couldn’t use it. That was something we hadn’t really thought about before, but it’s now something we bring to the table when deciding on goodies. 6) Do you have a crazy or funny story that’s come from running The YA Chronicles? Rebecca: Okay this is seriously a very hard question, lol. I think it’s hilarious when we meet someone who subscribes to TYAC at an event or something and our first question is always “What’s your name?” We probably sound super creepy when our immediate response is “OH HEY, I KNOW YOU!”. 7) Where are you guys most active on social media? Rebecca: Yeah, if there’s only one social media to follow us on, I’d suggest Instagram. We do use Facebook and Twitter quite regularly too though. 8) Where do you guys see your business in a year? What are some of your long term business goals? Alison: We have a lot of very ambitious plans that we talk about constantly. In a year, we hope to still be making a lot of people happy with some possibly new services in addition to what we have now. That’s my long term business goal: make people happy. Rebecca: We’ve discussed several projects we would like to take on in the future that would help in expanding our business. There’s nothing set in stone just yet, although we do have an exciting “addition” coming up in October. We’ll be making the official announcement soon so keep an eye on our social media! Alison: OH YEAH, THE OCTOBER THING IS REALLY EXCITING! We’re bursting to tell everyone! 9) Do you attend many book conventions as The YA Chronicles? Alison: Whenever we go somewhere together, we’re The YA Chronicles. Rebecca: And to be perfectly honest, if there’s a book event in Sydney, chances are we’ll be there. Just look for the tall, curly-haired girl and the short, loud one that are squabbling like siblings. 10) Which TYAC box was your favourite to curate and send out? Alison: I love so many of them, but I think December 2015- Celebrate the Season is still my favourite! 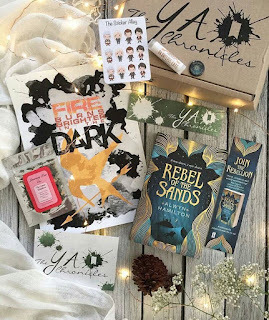 Rebecca: I absolutely loved the Rebel With A Cause box. I loved every little thing we included in it and it was just a breeze to curate. Not only that, but Rebel of the Sands is one of my favourite books so far this year. 11) Do you have anything exciting, like giveaways/competitions, coming up? Alison: We have a really big one year anniversary giveaway planned. There will be ARCs and 6 month subscriptions up for grabs, as well as collaborations with some of our favourite stores. Rebecca: Basically it’s going to be massive and you don’t want to miss out. Now, onto some personal questions and the quick fire round! Rebecca: I tend to lean towards paranormal, fantasy and contemporary. 2) Favourite film or TV adaptation of a book? Alison: I think The Fault in Our Stars had a pretty amazing film adaptation, but Pride and Prejudice (2005 film) is something I re-watch all the time. Rebecca: I thought the Tomorrow When the War Began movie was super great! I just watched the pilot of the TV show and it reminded me of how awesome the movie adapted it lol. 3) If you were stuck on an island and you were only allowed three books, what would they be? Rebecca: I mean clearly Lauren meant series lol. Poison Study by Maria V. Snyder, The Young Elites by Marie Lu, aaaaaaaaand Gallagher Girls by Ally Carter. Alison: She definitely meant series. Obviously. 4) Which country would you love to travel to and why? Alison: I’d love to travel across Europe in general- find out what it’s like to be able to travel from one country to another without crossing an ocean to do it. Rebecca: I want to see Athens so bad. I’m so fascinated by Greek Mythology and the history there would be amazing to see in real life. 5) Which book got you into reading? Alison: Throne of Glass by Sarah J Maas I think is what really got me back into reading. I spent all six years of high school reading fanfic instead of physical books, and after I read Throne of Glass I fell into the book blogging world, and here we are! Rebecca: Harry Potter and the Prisoner of Azkaban. I can still remember exactly when and where I picked it up. Alison: Hot Chocolate. I’m that person. Rebecca: And they say I’m the difficult one, lol. Tea!! 8) Early bird or night owl? Alison: ...both. Mostly I just rarely sleep, so Night Owl turns into Early Bird of its own accord. Rebecca: Neither really lol. But if I had to choose, Night Owl…? 9) What’s your most anticipated YA release of 2016? Alison: Ohhh THERE ARE SO MANY! Probably Empire of Storms (Throne of Glass #5) though, because I just know that Sarah J Maas is going to ruin us with this book. Rebecca: The Midnight Star by Marie Lu. Adelina is my everything, I NEED to know how her story ends. 10) If you’re not reading YA, what are you reading? Alison: …there’s other stuff out there?! Rebecca: I have a weakness and it is called fanfiction. 11) What Hogwarts house do you belong to? 12) Do you blog anywhere personally? If so, where? Rebecca: Yep! I run thebookhangover on tumblr and although I haven’t been good at uploading recently I also have a youtube. I’m thebookdrunkard on instagram (someone has thebookhangover and hadn’t posted in forever and I always cry about it). Are you a store in Australia?! The YA Chronicles wants YOU! Alison: We’re constantly trying to find new products from Australian stores to work with! We love supporting other small businesses. Rebecca: If you own one and are keen to work with us, give us a heads up (email us at info@theyachronicles.com.au) and we’ll talk about including your product in an upcoming box. Do keep in mind though that it might take a couple of months for a theme to come up where your product could fit. 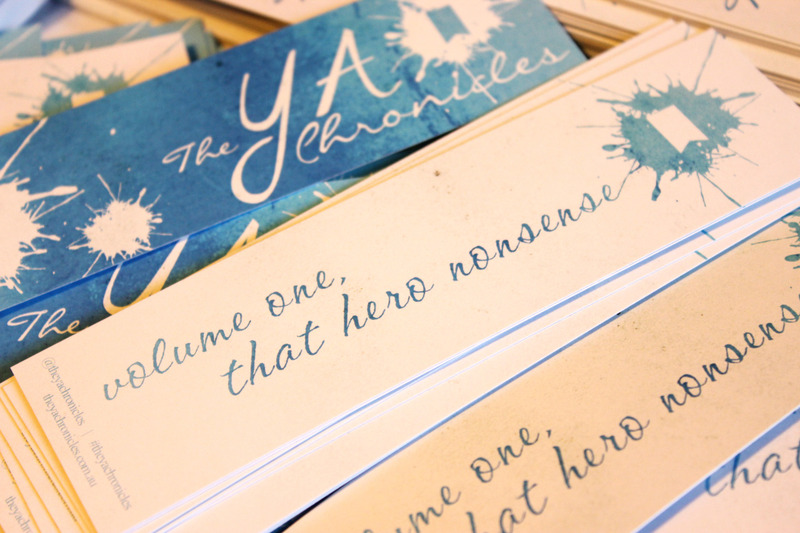 Make sure you're tagging anything to do with The YA Chronicles with their tag! Alison: We absolutely love seeing unboxing and really take into account all the opinions that are shared. That said, please do share your opinions, and no matter the platform, tag it with #theyachronicles to make sure we see it! Okay guys, that's the interview! I want to say thank you so much to Alison and Rebecca who took the time to write out their answers even though they're living in different timezones right now *awards a ribbon for dedication* -- No, but seriously, these girls are incredibly sweet, kind, and amazing! Who's ready for their coupon code?! You can use the code BOOKWORMBOUTIQUE10 to receive a 10% discount on your TYAC order! How freaking exciting is that?! Don't delay! I hear their May Box (Summer Daze) is going to be freaking fantastic! I've seen a sneak peak (you can go look at it too, links to their social media below) and it's awesome! You can find The YA Chronicles at all the links below! They're always sharing fun insights into the business, customer photos, and more! That's it from me today guys! Let me know in the comments if you like these kinds of interview (and my sudden use of gifs which I've never even done before, haha!) and would like to see them again. Also, if you already subscribe to TYAC, let me know what your favourite box has been! I have to say that the Rebel With a Cause box is my favourite so far! I loved the gifs! The ladies seem so lovely! Definitely made me want to subscribe! When I (finally) get to a book event in Sydney I'll be sure to find the two of you!